United Nations Secretary-General Antonio Guterres has expressed worry about a potential armed showdown in Libya, where eastern military forces have moved west and skirmished with rival forces south of the capital, Tripoli. “I am deeply concerned by the military movement taking place in Libya and the risk of confrontation,” Guterres said in a Twitter post on Thursday. 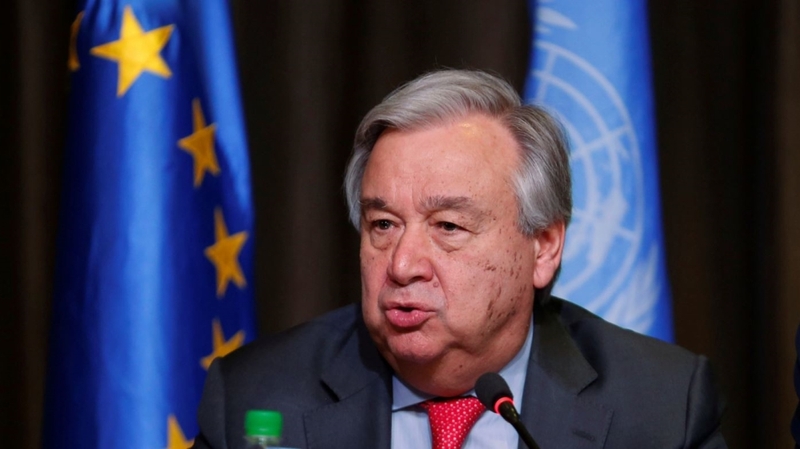 Guterres’ remarks come a day after he arrived in the war-torn country, where he said he was “totally committed” to support a Libyan-led political process. The oil-rich country, which has been in turmoil since the NATO-backed removal of its long-time ruler Muammar Gaddafi in 2011, has at least two rival administrations: the internationally recognised government based in Tripoli, headed by Prime Minister Fayez al-Serraj; and another in the eastern city of Tobruk, which is allied with renegade General Khalifa Haftar. Tensions rose on Wednesday after eastern forces loyal to said they had moved towards the western part of the country, prompting the Tripoli-based government to declare a military alert. A brief skirmish between Haftar’s self-styled Libyan National Army (LNA) and forces allied to Serraj was reported on Wednesday evening near a town south of the capital. “Right now they [there] are clashes south of Tripoli … in Gharyan,” LNA spokesman Ahmed Mismari told the UAE-based al-Arabiya channel. Earlier on Wednesday, the LNA’s media centre said on Facebook that several units had headed “to the western region to cleanse it of the remaining terrorist groups”. Al Jazeera’s Mahmoud Abdelwahed, reporting from the capital, described the LNA’s positioning as a display of strength. “Many analysts and military experts in Libya say that this is some kind of show of force or power. Haftar’s forces are using that to, first of all, intimidate their adversaries in the west of the country, and secondly, to test their power,” he said. The UN is holding a conference this month in the southwestern city of Ghadames to discuss a political solution to prepare the country for long-delayed elections and avoid a military showdown.